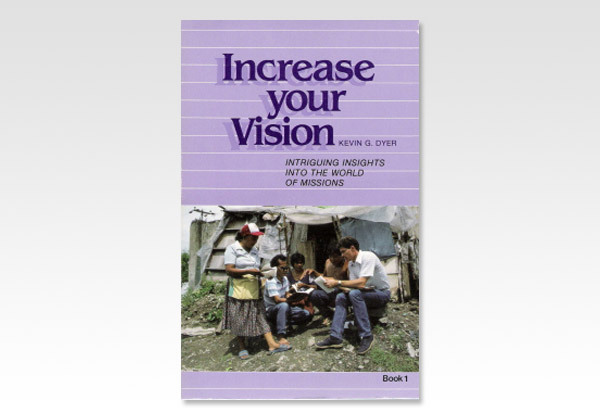 Increase Your Vision is a series of four books written to proved daily information about current missionary needs. It covers every country in the world, and is interspersed with stories and devotionals. As I have traveled in North America speaking at missionary conferences, I have taken a survey of how much time people pray each day for missions. The average is somewhere between zero and thirty seconds a day. Most people simply don't get enough information in an easily obtainable form to pray about. And most don't have the commitment to do it. Increase Your Vision is meant to be easy reading that can be completed in about one or two minutes a day. Then one minute of specific prayer for the needs mentioned could revolutionize the work of missions. Join us in daily learning about the world and its needs and praying for the outreach of the Gospel.